THESE TWEETS DO NOT EXIST ANYMORE. 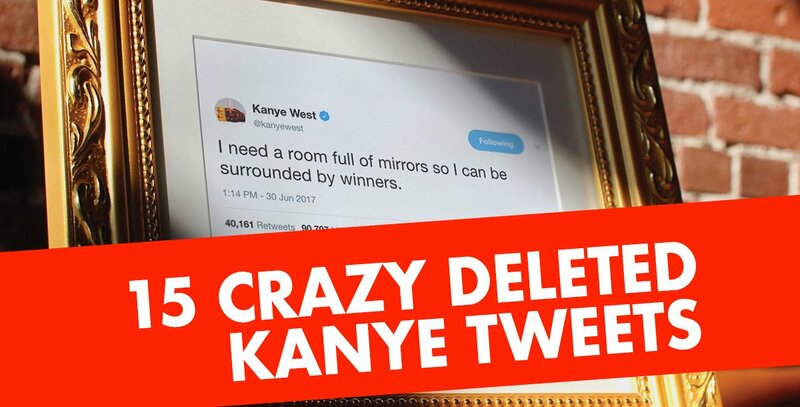 That's right, Kanye deleted them in May of 2017. But they're iconic tweets, and we couldn't let them just...disappear. So we painstakingly recreated them in full HD, in all of their original glory. We framed them. In gold. Imagine a world where people hang tweets on their wall, right next to paintings by Picasso and Da Vinci. Warhol, Van Gogh. 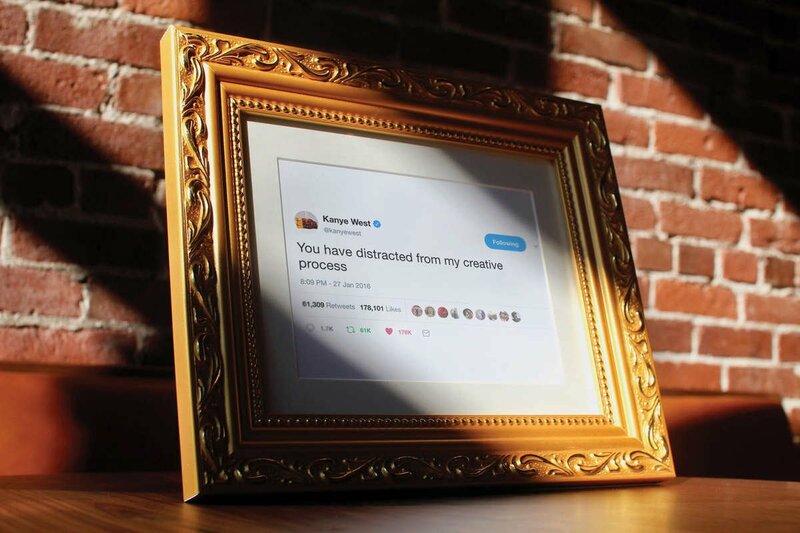 Where the distinction between online content and offline art is blurred, and you can enjoy your favorite tweets without being buried in your phone. A world where the world's best tweets—the ones you love—are hanging right there on your wall, for you to laugh at every single day. It could happen. And it could happen right here. "Staring In A Mirror For 20 Minutes"
Have you ever thought you were in love with someone but then realized you were just staring in a mirror for 20 minutes? Have you? It's happened to Kanye. 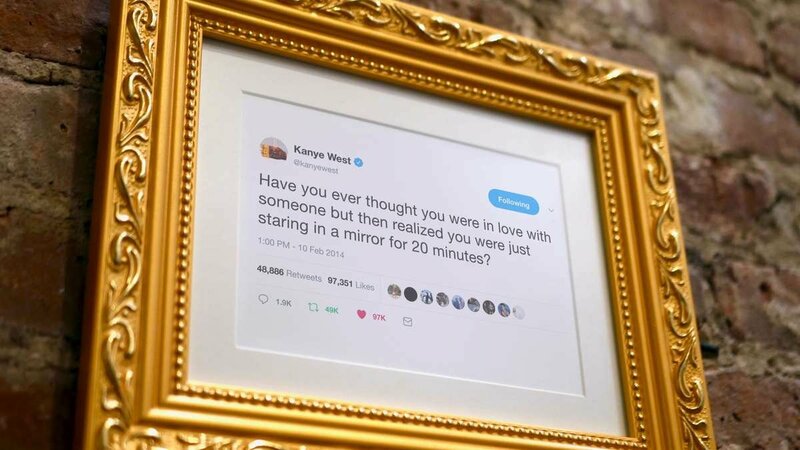 If you love yourself as much as Kanye, it's probably happened to you, too. Imagine taking a business call at 3AM. That's what you're in for when you join Kanye's inner circle. In fact, he won't even work with you if you're not willing to do it. Better drink some coffee—it's gonna be a long night. You've been slaving away in the studio all day, laying down that perfect guitar track, when suddenly...the phone rings. The creative genius flowing from your mind comes to a screeching halt. You reach for your phone and subtweet the person who called who. And by you, I mean Kanye West.